Regarding the discounted BMW rental option, here are the rates I received to rent at SFO. Is this program still offered to new owners? The dealership did not mention it. it would be nice if BMW admin actually provide updates on this program. this is the official BMW i forum and yet u won't get updates from here. The BMW Store Cincinnati - 100 mile limit as well. You have to give a 7 day notice if you need a car. Hendrick BMW Charleston SC - doesn't participate. I believe I was the only i3 sale in October. Interesting. I got a different experience with the BMW Store around Thanksgiving - they gave me a 3-series to go to NYC. Had it for about 5 days and put around 1200 miles. They knew I was going to NYC. 1st routed to Sales Manager - Not the most eager to help, he provided a little dose of attitude and deep breath when I answered his question, "Did you buy it here", No, I replied. He asked why I couldn't contact the dealer I purchased it from and I stated, ‘I purchased in Charleston SC’. He replied, ‘You want to put about 1300 miles on it?” He grumbled a bit and told me to call service to schedule a loaner car and didn't even transfer me. I'll keep you posted. 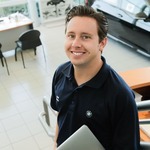 The more I deal with BMW Store the more I enjoy my experience with BMW Cincinnati North. When I had the drivetrain malfunction error, the BMW Store wanted 5 days until they could get me in. North, got me in next day and I even called at 4pm to see if they could help. I've read, BMW NA, reimburses the dealer $600 month, per car, provided they use the program X number of days a month. I've also read, the owner can use the program 4X in a year. Greg was super helpful and pleasant. Just so you all know.. he confirmed 'we' get 14 days a year in a loaner. Set me up for a 3 series.. but said it was good I called early, as they have about 2 week backlog schedule. Oh and by the way. BMW won't do any service to the car while you are using the mobility plan. They will only store the car and charge it. So you can't kill two birds with one stone, if by chance, you had say the dreaded drivetrain malfunction. On that topic its been three months since my DTMF repair and no issues. Sterling BMW in Newport Beach where I purchased my i3 now has the Flexible Mobility Program. I was recently the beneficiary of it and it worked just as advertised. What a great addition to i3 ownership. I just called my dealer Santa Monica BMW and I was told they don't participate! Could you guys please work this out??? this is not funny anymore! South Bay doesn't participate either. I'm in the LA area and I have contacted the following dealers, who have unfortunately confirmed that they DO NOT participate in the program: Pacific BMW (Glendale), New Century (Alhambra), and South Bay (Torrance). What a shame..
Hi Audrey, could you please send me an email with your contact information? I have a question regarding this experience. You can send it to bmwiconcierge@bmwusa.com. Bought both a i3 BEV and Rex from BMW of Santa Maria and they participate in the Flexible Mobility Program....They routed me to the BMW Genius and he sets it al up for you. Nice and easy! With the i3/i8, I was sold on the idea that I could get a loaner vehicle to use as part of a "flexible mobility program" for those times when I had to travel long distances with no charging infrastructure. This was one of the selling points that convinced me to be part of this $54k i3 beta test. I travel occasionally between NYC and DC. The manhattan dealer and no dealers in DC, MD or Virginia support this program. It took an hours worth of phone calls to even find someone who knew anything about this program. For me, this program is of negative value, given the huge waste of time it's been as I've hunted for a dealer who knew anything about it. Infuriating. BMW needs to whip their franchise dealers into line, train them, provide working chargers (that are accessible at all hours) and make these programs a corporate mandate. For this and many other reasons, BMW franchises are clearly not ready to support their i-vehicles. I love my i3. But as soon as my lease is up, sayonara I'm afraid. Crevier BMW in Santa Ana, CA changed their policy and will only provide a loaner car if you bought your i3 from them. And they won't honor mistakes made by their employees (we reserved a car through the program and even receive a confirmation/ reminder call only to be told they wouldn't loan us a car since we didn't get our i3 from them). I've had the I3 since June 2014, and this flexibility program is a complete dud. Agree that dealers do not support the I program- local dealer in Rockville Maryland has the chargers locked and you cannot access with the charge point card without them turning it on. But at least they have the chargers because not all do. The I concierge is not helpful at all. no real understanding of the I system. Joe...I feel your pain as I too had the same problem here in Miami Florida and I too had minimal to zero assistance from the i3 Concierge. I was finally able to pick a reimbursement check directly from the dealer for close to $450 after I called BMW North America Customer Service (twice) and complained to them. Quite honestly, I am not too happy with my i3 or BMW altogether for that matter. Once my lease is up, I will be running back to Mercedes Benze. I live in LA and after extensive calling it seems the the only dealerships that participate are Crevier and I believe Pacific. Unfortunately neither of these are in LA proper. Beverly Hills, Santa Monica, South Bay and more do not participate. This is an area of big frustration for me. A fixable issue too.